Click here for a downloadable copy of this information. 1. All Clubs must get certified each Rotary Year to participate in any grant (District, Global). a. All Clubs, including the lead Club and any participating Clubs, must meet all of the certification requirements. b. Certification qualifications are for one Rotary Year only. c. The Rotary year is July 1 through June 30. 2) REQUIRED - members completing grant applications must participate in a GMS. 4). To Register for a GMS, click here, and select the seminar from the drop down menu. 5). You must participate in the entire seminar to get credit. 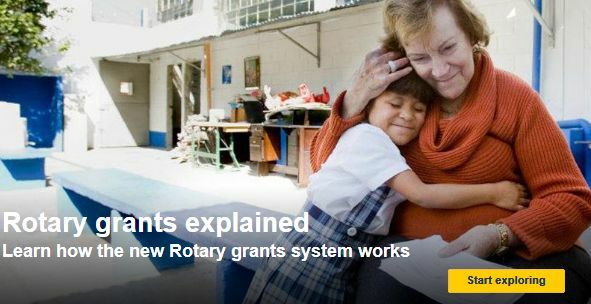 Review the Rotary International Terms and Conditions for guidelines and restrictions including, but not limited to these restrictions . . . funds cannot be used for . . .
4) To Register for a GMS, click here, and select the seminar from the drop down menu. Submit the form to districtgrants@rotarydistrict5650.org; this cannot be submitted using the Grants Module as that is only available once clubs have been certified.